Time to get lost in the pages of books and stories from Singapore. 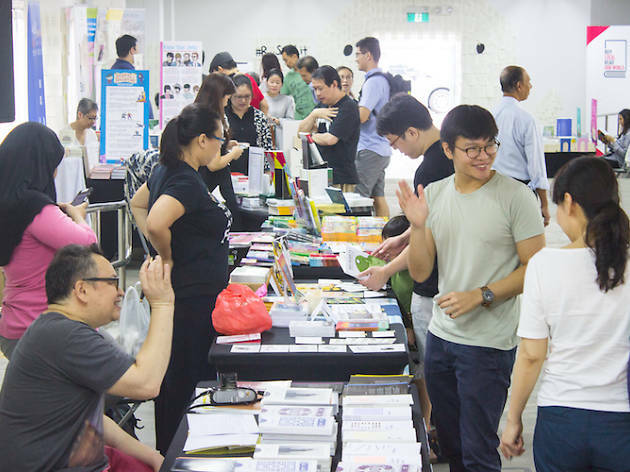 Championing homegrown book publishers, retailers and literary non-profits, #BuySingLit promotes Singapore literature through an exciting line-up of programmes over two weekends. Highlights include the debut of Sing Lit Cloud where you can print out bite-sized excerpts of local bestsellers from special self-order machines at Our Tampines Hub, Mapletree Business City and Library@Harbourfront, and Grab SingLit where Grab users can use their GrabRewards to redeem a mystery book gift. Other programmes include the Malay-centric book carnival Pesta Buku Melayu – Buana Buku Rimbun Ilmu (World of Books, Luxury of Knowledge) (Mar 16-17), The Arts House’s signature literary festival Textures (Mar 8-10), the Yong Siak Street Party (Mar 16-17), the poetry performance We All Step On Snails: A Poetry & Terrarium Experience (Mar 9-17), and the intergenerational theatre show Legend of Bukit Merah — An Intergenerational Adaptation (Mar 9).